Today, His Holiness blessed the shrine room at Karma Triyana Dharmachakra (KTD) in the morning during a ceremony in which lamas from throughout North America served as ritual assistants. In the afternoon, His Holiness presided over a reception for the donors, staff members, and volunteers of KTD, personally presenting each honoree with a plaque of appreciation. 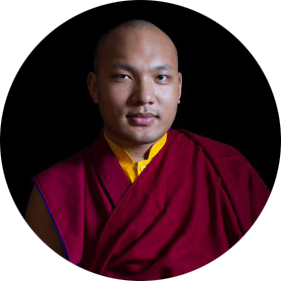 Representatives of the City of Woodstock were in attendance and were among those to whom His Holiness the Karmapa extended his heartfelt gratitude. For the remainder of the day, His Holiness rested and granted audiences.